Here is the Sperry Hockey roster for Sunday, June 23, 2013, 8:30AM-10:10AM at Richmond’s SkateNation Plus (Short Pump) rink. We have two goalies, but as of noon Friday we still have room for 2 additional players on the roster. Please email us at sperryhockey@gmail.com or call David Delamere’s cell at 434-760-2870 if you want to play. Cost: $20… for 100 minutes… Insane!!!! Note that this is a morning game. It’s also an extended session. Our start time is 8:30 AM. We play for 100 minutes (8:30 – 10:10 PM). Please be on the bench and ready to go by 8:25. Your slot may be forfeit if you arrive at the rink after 8:20. The cost is $20/player for the extended session. Goalies play for free. The ever versatile David Delamere will be collecting your contributions. 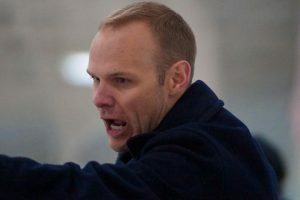 You can make his job easier by arriving as early as possible and finding him as soon as you enter the rink. Please pay either in cash or with a personal check. Do not pay with a credit card. David Delamere is handling cancellations. If you have to cancel, you can e-mail us using the sperryhockey@gmail.com address until noon on Saturday. From noon to game time, you should call David’s cell at 434-760-2870. Better yet, just show up and play and don’t call David at all! Teams will be selected that morning, so please bring both a white and dark jersey (and extras if you have them). Game style will more than likely be shift-on-the-fly for easy adjustments and little clock involvement. Figure a 5-minute warm-up, 2 periods, and 5-10 minute break in the middle. We’re open to suggestions. It’s gonna be fun! This entry was posted in News, Roster and tagged 2013, June, SkateNation on June 21, 2013 by Sperry Hockey. Mark your calendar for a special Sunday morning session of Sperry hockey, June 23, 2013, at SkateNation Plus in Short Pump. The game is scheduled for Sunday morning, June 23, 8:30 – 10:10 AM. So, keep that one on your calendar. We’ll be the first on the ice that day, so it should be set up nicely for all of our speed and skill… ahem! Then, maybe brunch afterward to put back all the calories. David Delamere will send an official signup message soon, so please reply when you receive the signup email. Cost and format are TBD, but it will probably cost $15 – $20 per player. 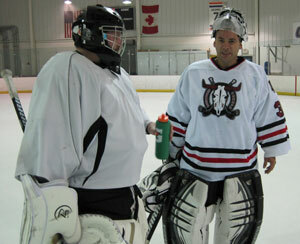 Actual cost and other details on the game will follow as we get closer to Sunday morning Sperry hockey, June 23, 2013. David Delamere is also in touch with a couple of other rinks in the area for other ice times. He will post some information once he hears back from them, so you can make plans to join us then as well. We hope that you’re having a great summer, and we’ll see you soon! Only three more months before the ice at the Main Street Arena re-opens! This entry was posted in Announcement, News and tagged 2013, June, SkateNation on June 12, 2013 by Sperry Hockey. Jeff Rude, Head Coach of the the University of Virginia Men’s Ice Hockey Team, has some late-night ice time for hockey practice in Richmond on Tuesday, June 4, 2013. You know how they say that Goalies are Diamonds, Defensemen are Gold, and Forwards are a Dime a Dozen? It’s time to up your value in the (adult) hockey world! Jeff Rude has reserved an hour ice time at Skate Nation Plus in Richmond for late night hockey practice at 11:30 PM on Tuesday, June 4, 2013. We are using this time to concentrate purely on defensive skills and drills along with some play time. There will be roughly 30 minutes of defense drills and work before we will play 30 minutes of scrimmage. The number of people who participate will determine the way we play! Price will be roughly $20-$30 depending on the number of people who attend, but it’s happening. Finally a little drill time for us older guys! Rarely do we have a chance to have some drill time and rarely is it devoted to defense… lateral movement, checking, pivots, fast feet, you name it, we’ll work on it! For more information, please contact Jeff Rude, jeffrude@yahoo.com, 917-733-0760. This entry was posted in Announcement, News, Practice and tagged 2013, June, practice, SkateNation on June 4, 2013 by Sperry Hockey.